With permission from the admins of course and enough people willing to participate I would like to start and moderate a new game I've taken the liberty to score out people, If there is a discrepancy about a score I gave a superstar let me know and we can come to some kind of compromise. I'd like to start with Take Over Brooklyn and Summerslam. Team Captain Status can be given to one superstar on your team and he or she will receive a x2 multiplier for winning matches so 6 for weekly tv and 2 for ppv non-title wins, but will lose 1 point for losses on Weekly TV and 2 for PPV losses, so pick wisely. Double points for pinfall or submission wins and either 2x losses or a 1/2 reduction of losses protecting your top guy. whatever works best. Updated to include the Team Captain options, x2 multiplier for wins but -1 for a loss on Weekly and -2 for loss during PPV regardless of whether you place a gambit on them for the ppv. And Can I swap gable out for Reigns as it's not started yet. so the gambit you chose before each PPV ? 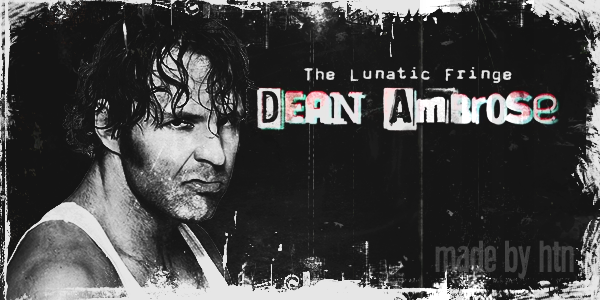 or will Ambrose always be mine now? "so now you could possibly get 18 pts from your captain and gambit him at a ppv and gain another 7. In theory your captain could have 25 pts in a single month, or lose every match for a month straight including the gambit for -10 for the month, so pick wisely"
"Team Captain Status can be given to one superstar on your team and he or she will receive a x2 multiplier for winning matches but will lose 1 point for losses on Weekly TV and 2 for PPV losses, so pick wisely." Choose a gambit before each ppv, yeah Bosch. Basically like we do with joker in predictor. Seth is your captain so bonuses apply to all shows. right, right, sorry got the graph correct and the message wrong, btw how are feeling about our colors, everyone alright with what they have?